When is the last time you changed your hair color? Maybe you have been thinking of changing your hair color for some time, but are a bit nervous to take the leap. Your skin tone and eyecolor can play one of the most important roles in whether a color shade will be right for you. 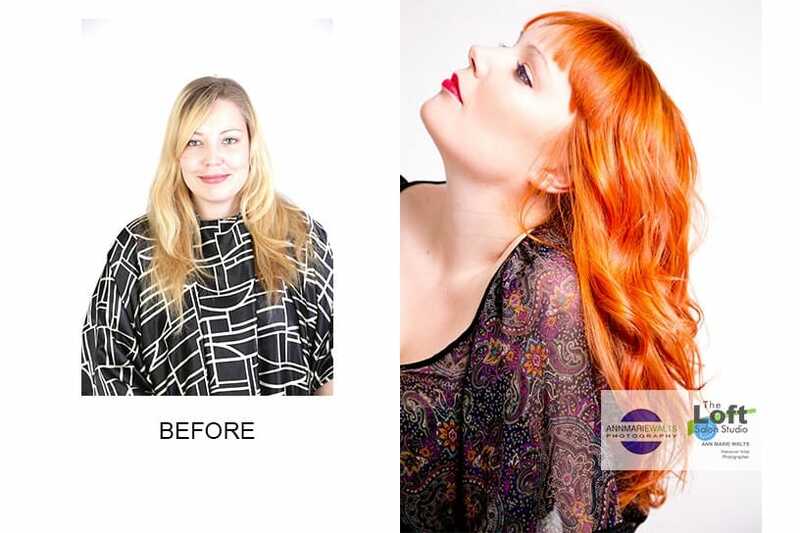 If you plan on taking a huge leap, like the hair color makeover shown, you will not want to “go it alone”, and especially if you are used to being blonde. Blonde hair is blond because it is lacks red. What do most Blondes say? I don’t want to see any red, right? However, many, many times you will find that shades of red hair color can and would look nice on you as well. This is especially true if you have any warmth in your eye color. Try taking a look very, very close to your eyes in the mirror. If you have hazel eyes that have flecks of amber and gold, then you will most likely make a stunning red head! It is not a tattoo….color can be changed. Hot Tip: Put together a Pinterest board of hair color shades that catch your eye. It is best to have an assortment of photographs of real hair to communicate with. If you are not certain of what you want exactly…you can be certain that you will most likely know what shades of red that you would NOT want to have. There are so many shades of red hair, too. Cool Red, Warm Red, Rose Gold, Copper Red, Red Violet….and on, and on, and on. Take the plunge….Just Do It!